The Chunky Mohair Tube retails for $280. As the weather turns cold and the world just sort of keeps doing everything it's been doing lately, a quiet, warm space to sit or stand entirely alone and be at once solitary and cozy becomes harder to find. 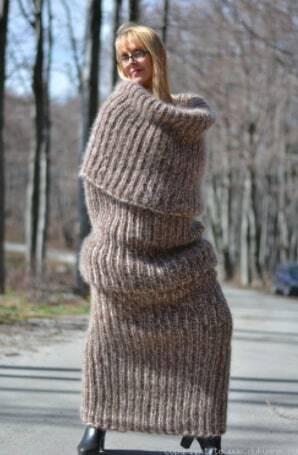 Luckily, the professional knitters at Dukyana, a small Eastern European clothing company, have constructed an instrument that can contain a human being in wool for as long as they need, and maybe even forever. 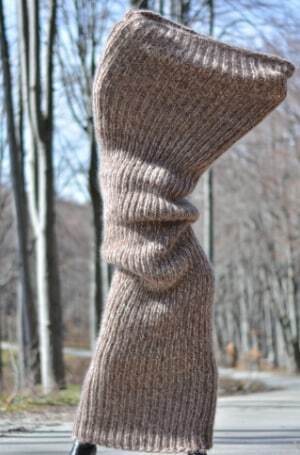 The Chunky Mohair Tube Scarf, which retails for $280, is making the rounds as a somewhat confusing statement piece, or "giant sock," but the need for quick, movable wool refuge seems obvious. The scarf comes in beige, pink, and cobalt - the three essential colors - and is already on backorder on Dukyana's website. Please keep an eye on it if you purchase one, in case it begins to grow.